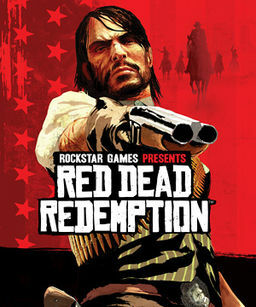 I know people love Red Dead Redemption, and I understand why, from a character point of view. But, among my (granted, limited) experience of video games, it's one of the most annoying to play minute by minute because doing very common actions (saving the game, skinning an animal) takes forever. You've killed an animal and go to skin it? In some games you'd click one button and be done in literally a second; but in RDR, you click that button and then have to watch a mini-play, complete with dialogue and sound effects. EVERY TIME. And you can only save the game while camping or sleeping in one of your properties. How tired am I of entering the saloon, crossing the crowd-filled floor, up two flights of stairs, down two hallways, and finally into my room before I can save? It's as if you were reading a novel, and every time the main character did anything outside the house, you had to read that he got his keys, went to the closet, put on his coat, opened the door, went to his car, started the engine, and pressed the gas. If the text describing that were really well written and evocative, you'd enjoy it the first time. The fiftieth? Not so much.